It appears to me that the Gull is taking a moment to honor the deceased. It is sad to see a dead bird on the beach. Nice shot Karl. I enjoy these behaviour type photos. nicely seen Karl. Did it eat it? 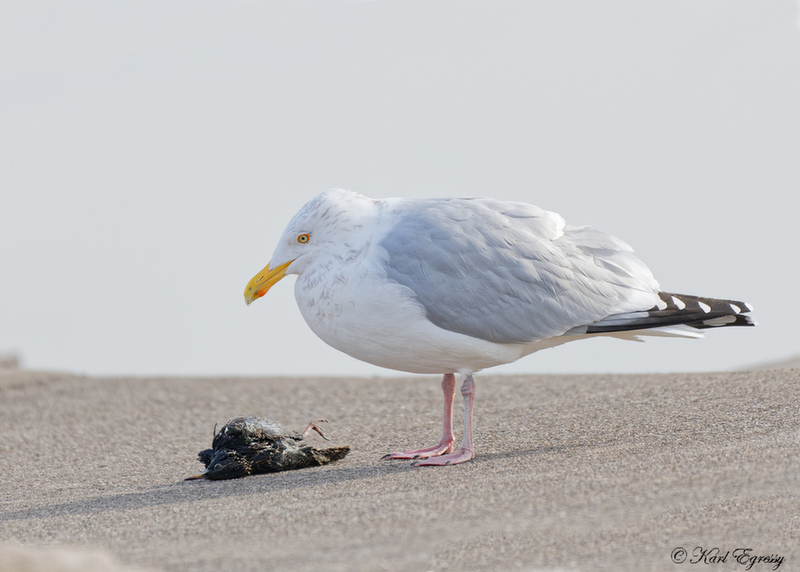 It was picked up and carried away, by the Gull. Interesting shot- looks maybe like a starling? Nice capture. Waste nor, want not, I guess. These gulls will eat most things, living or dead, so I guess it ate it. Good shot, Karl! Strike 3 Karl? Nicely seen.